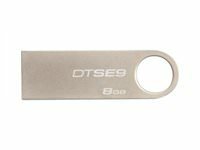 8GB USB 2.0 DATATRAVELER SE9 CHAMPAGNE US Kingston's DataTraveler Special Edition 9 is a fashionable USB Flash drive that makes it fun to connect and share photos, music, videos and more with friends and family. The handy USB Flash drive will be available in an all metal livery casing and is a great accessory for slim notebooks and tablets. Its small, capless design easily attaches to a keychain or necklace for accessibility and safety. Kingston's DataTraveler Special Edition 9 is a fashionable USB Flash drive that makes it fun to connect and share photos, music, videos and more with friends and family. 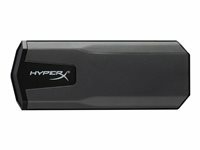 The handy USB Flash drive will be available in an all metal livery casing and is a great accessory for slim notebooks and tablets. Its small, capless design easily attaches to a keychain or necklace for accessibility and safety.